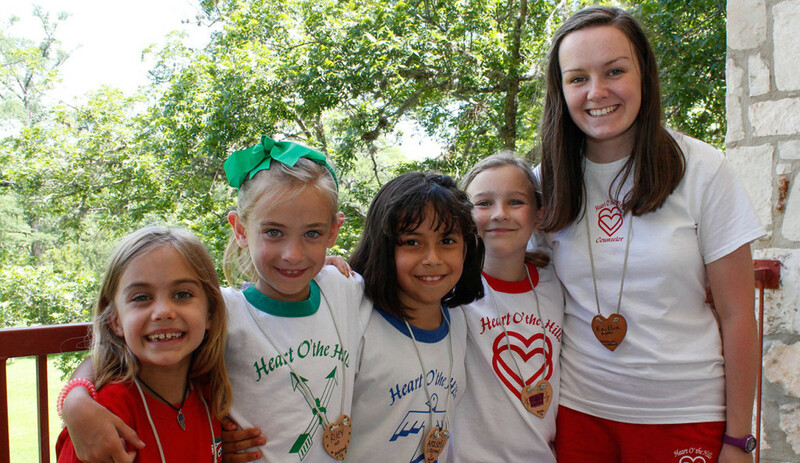 Campers are placed into cabins or “tepees” based on their age division. Younger campers share smaller living quarters with a typical five-to-one camper-to-counselor ratio, a single bathroom, and a closet. As campers grow older, the cabin grows larger. Our oldest age division may have up to 12 campers and four counselors within one tepee—with bigger bathrooms! There are five different age divisions at The Heart. Tepees are grouped according to division and campers are assigned to tepees according to age as of Sept. 1, in an effort to keep girls with their grade level (special requests otherwise should be made well in advance of the term). Divisions have special activities each session. What’s life like in the tepee? Well for starters, it’s like a month-long sleepover with at least four other girls in one room. Each tepee is named after a flower or tree native to Texas. Every age division has a different Health and Happiness chart to check off every night to earn points for their tribe. Did they brush their teeth? Turn off lights as they left a room? Are their shoes lined up under the bed with heels out? Not only do they have a personal checklist, the campers are also responsible for the Daily Inspection of their tepee. The floor must be swept, beds must be made with “hospital corners”, and trash taken out daily. Tepees that get “Perfect” inspections for five days in a row can earn picnics on camp. Girls are taught how to share their space and to manage time well when living among a handful of other girls. Shower times are planned out in order to get ready for the Stewart dance. Communication skills are perfected when needing to borrow a hairbrush, and our counselors ensure lights are out on time every night (well almost every night). Tepee life teaches living independently through guidance, and to prepares girls for their first night at college on their own. We’ve broken down our different cabins by age divisions below. The Lodge holds our Midgets (6-8), Sophomores (9-10), and the younger Juniors (11-12). These cabins are the original hotel rooms. There are three outside floors and one inside hallway. 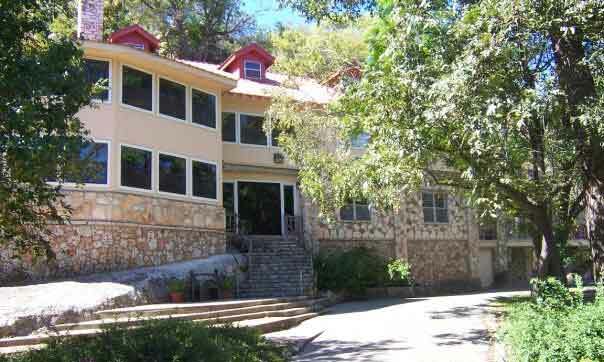 Each cabin generally holds five campers and one counselor. They have their own bathroom and closet. 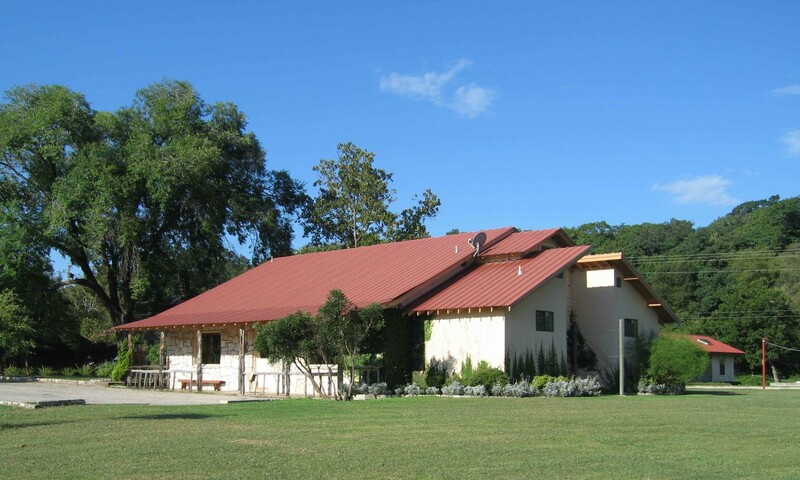 The Lodge is convenient for the younger campers as it is attached to our Dining Hall and Orenda, the wellness center. 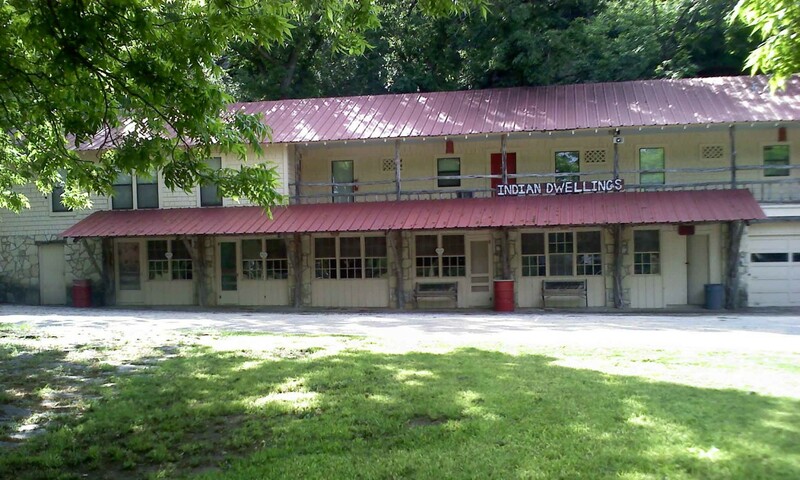 Indian Dwellings is home to our older Juniors (11-12) and younger Seniors (13-14). Located above our Art Studios and Garage, they consist of three large cabins: Agarita Attic, Buckeye Bunk, and Cactus Flower Cottage. These cabins feature eight sets of bunk beds. These tepees each have two or three showers, toilets, and sinks and a spacious drawer for each camper. There are also additional cabinets for storage above the drawers, and a small amount of room for hanging clothes. Abrigo 1 and 2 are in the middle of camp near our tennis courts. They are side by side and share a swinging door in the middle. Each cabin sleeps ten Seniors (13-14) and two counselors. The girls have three sinks, toilets, and showers in each Abrigo. They each get their own bathroom cubby and shared closet space. Our Teens (15-16) live in Adobe Village 1 and 2, near our aviary and Office. They are back-to-back cabins that sleep 16—three or four counselors with 12 or 13 campers. The setup is similar to the Abrigos, with four sinks, toilets, and showers. Larger cubbies are for storage and each cabin has two closets. The Adobes have an outside fireplace and Petite Patio on the side for evening devotionals among the cabinmates. Assignments are made according to camper’s age, year in school, size, and maturity. Can I request to bunk with friends? If campers have a tepee request, it needs to be submitted in writing and mutually agreed upon. It is our policy to do our best to honor mutual requests but we cannot promise or guarantee any such special tepee arrangements. We must be able to focus on the overall success of each and every camper at all times. 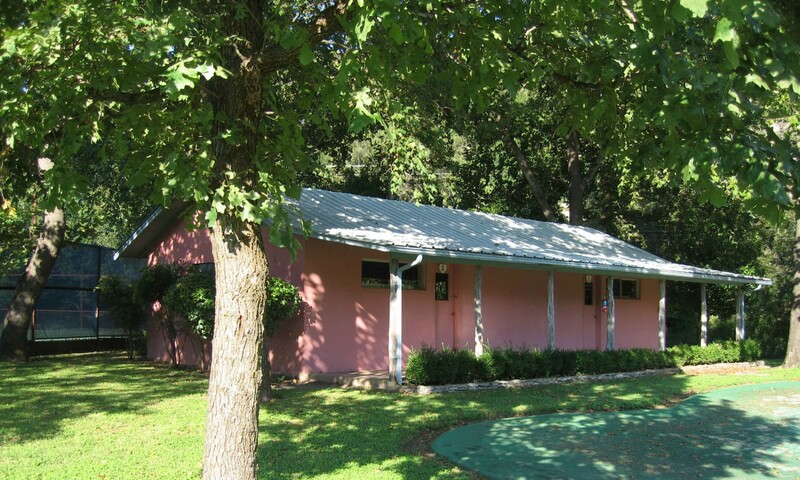 Yes, our campers enjoy fully air-conditioned cabins and dining hall.